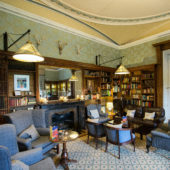 With the hotel’s brigade comprising of over 100 individuals, Balbirnie provides the backdrop to an ever-growing and jaw-dropping amount of special celebrations. Fine food, lovely surroundings and, above all, a real sense of friendly Scottish hospitality combine to create a truly special setting for our house guests to enjoy. 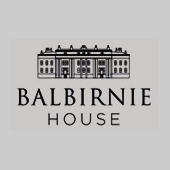 Balbirnie really is a home away from home, and this is what we strive to create every day, with traditional values of hotel keeping and service with the personal touch. We pride ourselves on offering great quality food and wine, serving the best produce Scotland has to offer. Balbirnie’s kitchens have an emphasis on creating classic dishes using seasonal produce and our aim is to provide a choice of dining experiences to suit you, whatever the occasion for your visit. Whether you are looking for a celebratory fine dining experience or simply a one-course evening meal after a busy day, we’ve got it covered. Take a look at our Dining section for more details of our two restaurants – The Orangery and Balbirnie Bistro – as well as sample menus and private dining options at Balbirnie.